The lawnmower machine was discovered by an English Engineer named Edwin Budding. This was around the 19th century. Budding was at the time working in a textile mill where he noticed a machine that was used to cut the nap of velvet. Budding noted that this same technique used here to cut the cloth would work for cutting grass at his home. He developed the first mower machine, a classic reel type mower. The machine had a series of blades around a cylinder and was pushed from behind. Budding partnered with engineer John Ferrabee and together they manufactured the cylinder mower at Stroud. They allowed others to copy the design under license. These early machines are on display at the stroud museum. Many companies started off but the most successful was Ransomes of Ipswich. Today Ransomes is still the largest manufacturer of lawn mowers in the world. At around the 1850 other companies had started to make their own designs since Budding’s patent had lapsed. These new versions were less noisy, lighter, came in various sizes and were fitted with grass collection boxes. 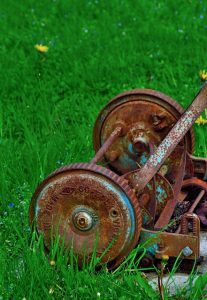 Later in 1870 in Indiana a machine was designed that was lighter had few moving parts and generally easier to push This was by Elwood Mc Guire of Richmond.As years passed inventions of side-wheeled lawn mower machines were made. These machines used cast iron wheels on the sides and drove the cutting reel directly. They were lighter and more affordable. Around the early 1900 motorized lawn mowers were in the scene. Steam-powered mowers were doing great. After world war I many manufacturers opened up to massive production of lawn machines. Well, known names that were featuring includes Ransomes, Sims, and Jefferies. The first Gasoline powered mower was manufactured in 1919 in the United States, by Colonel George. Between 1930 and 1950 lawn mowers were light, smaller and more efficient. As years progressed lawn machines greatly advanced, they incorporated plastic components and their cost had reduced drastically. A solar powered robotic lawn mower was invented in 1995. In the 2000s mower types that are advanced and user-friendly emerged. Notable types include hover mower, tractor-pulled mower, and the riding mower. Modern lawn machines such as the robotic lawn mower by Robomow are the latest mower technology. They provide a beautiful cut. They are safe as it is impossible for particles such as rocks to be thrown from beneath the mower. This is an advantage since such objects are potential hazards. These machines can easily be controlled by apps installed in your android devices. New technology has brought on board improved designs of lawn mowing machines. These improved machines that reduce air pollution by using low emission gasoline engines have been manufactured. 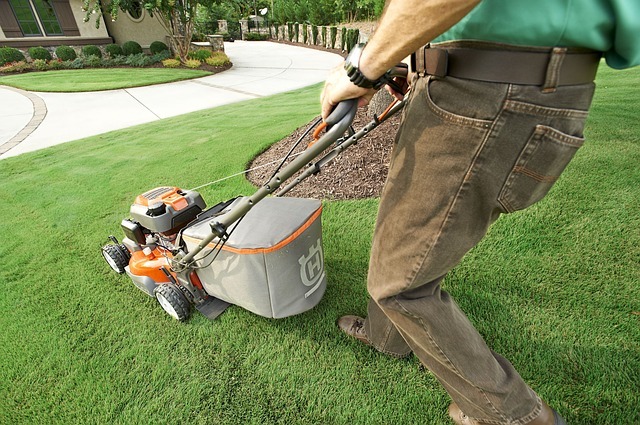 This is in the quest to have a fresh cut yard and make the lawn care an easier experience. We hope this article has been educational and informational for you. We encourage you to check out the other article on our site. Also if you have any comments or questions, please feel free to contact us today. Leave your question and we will get back to you as soon as possible. We also ask that you visit our sponsor of this article. They offer services like trimming bushes commercial and residential as well as being professional Grapevine Christmas Lights Installers.